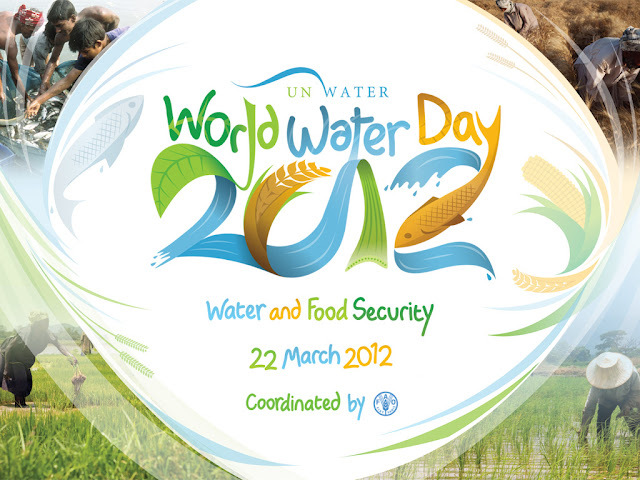 Each year, World Water Day highlights a specific aspect of freshwater. The theme for this year's World Water Day is Water and Food Security. There are 7 billion people to feed on the planet today and another 2 billion are expected to join by 2050. Statistics say that each of us drinks from 2 to 4 litres of water every day, however most of the water we ‘drink’ is embedded in the food we eat: producing 1 kilo of beef for example consumes 15,000 litres of water while 1 kilo of wheat ’drinks up’ 1,500 litres. The United Nations Water has an amazing World Water Day web page, with many information, resources, educational games, brochures and animations that can help you learn more about water related issues, water footprint and how can changing your diet help ensure water and food security for everyone. All information provided by http://www.unwater.org/worldwaterday/ This is not a sponsored post.